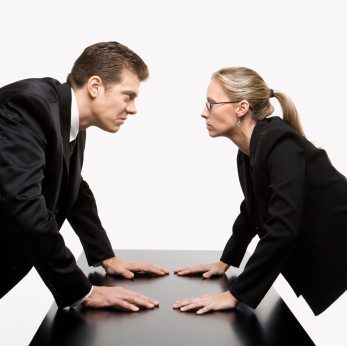 There are times when an unpleasant confrontation with someone in your business is unavoidable. As much as we’d like to sweep the issue under the rug, hoping the problem fixes itself, as a leader it’s gotta be you who deals with the issue. Years ago, I made the mistake of ignoring a problem. A team member, who usually did top notch work and who I greatly valued, began to underperform on a consistent basis. I didn’t want to say anything: she was a great person, she’d done great work in the past, and we all gathered that she was having some personal issues. So, at first I chalked it up to a temporary lull in her performance and decided to ignore the red flags. But then she began to miss meetings, show up late for work, and generally appear to be unfocused and uncommitted. As a result, my supervisors began to confront me, wondering if I needed help getting my team’s performance back on track. It was only then, weeks after this whole thing started, and after our performance suffered enough that my supervisors took notice, that I finally decided to have a sit down with the problem person. Everything got straightened out and the team was soon back to performing well. But I learned then that the longer you put off a confrontation, the harder you make it on yourself. So, if you need to confront someone, do it right away. The pressure is low, and hopefully there isn’t much tension between the two of you at this point. If you let it go, you run the risk of giving the offending person more space to continue on a damaging path. However, the confrontation must be led by your heart, not your head. While it’s crucial to show the person exactly where they are not meeting expectations, don’t make this the only factor. After all, we’re humans, not robots. Put yourself in their shoes. What might be going on in their life that may be influencing their work? Is there anything you can do to help? Offer support. Reiterate that you are there for them, and that the confrontation is happening out of loving concern, not reprimand. Finally, make a joint game plan that lays out how the two of you will resolve the issue. Include a timeline if need be. This doesn’t have to be a written document, of course. But it should be specific and clear. And it should above all serve to encourage the individual to seek out support and build trust between you.